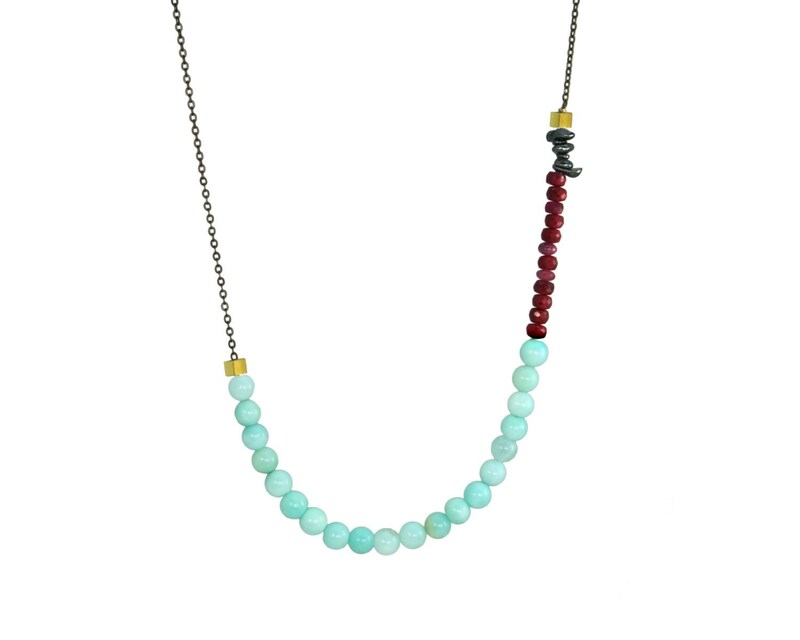 This necklace uses Peruvian Opals, Dyed Rubies, and Oxidized Sterling Silver. 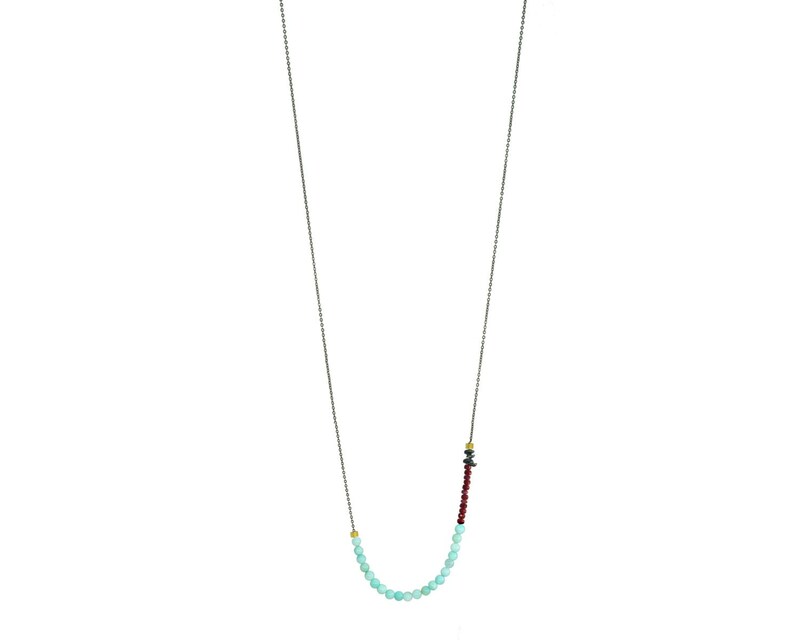 Available in 22k Gold Vermeil or Sterling Silver. 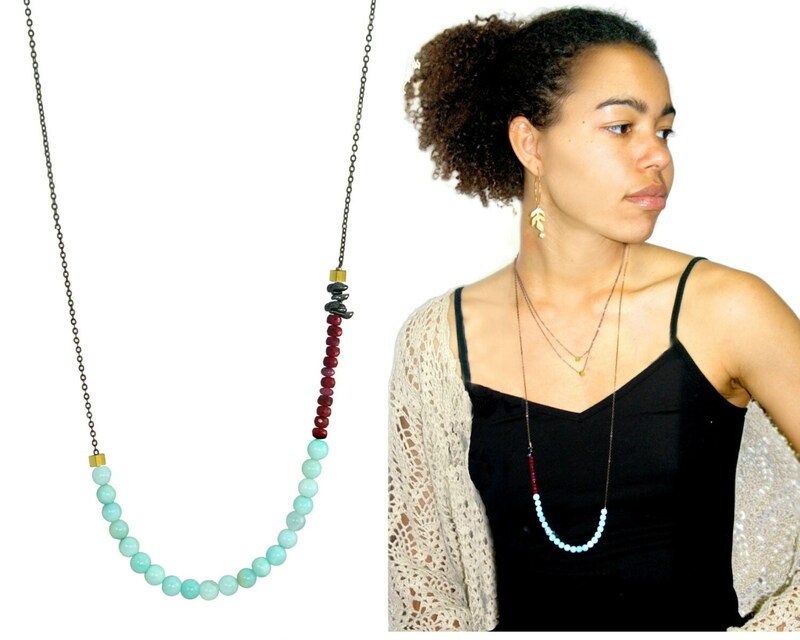 Our fully adjustable clasp necklaces include a 1.5" extender making it adjustable. Let me know if you prefer a different length at checkout.